There’s nothing nicer than a night in with a great friend. Today the loveliest of lovelys came round, Sue. I cooked us stir fry (before realising we never eat anything else when we’re together) and then we constructed this amazing pudding! 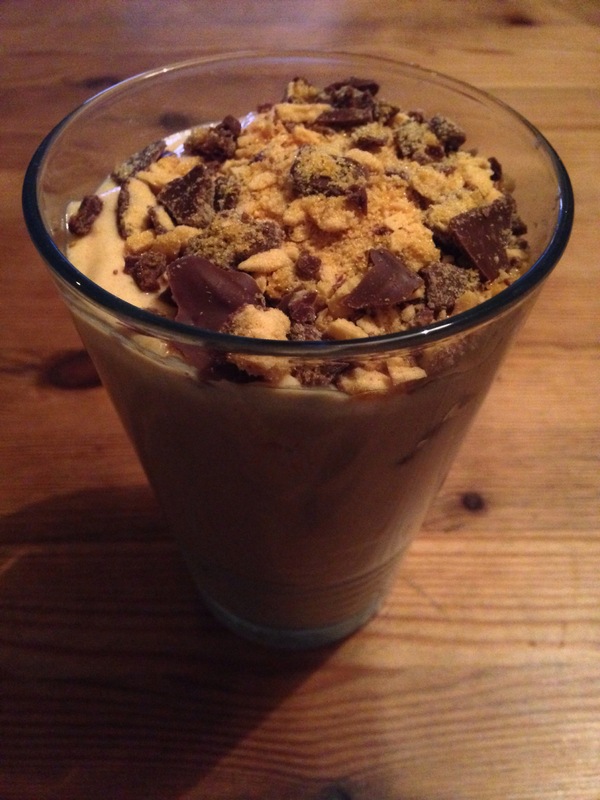 Angel Delight with fudge pieces and crumbled up Crunchy. It was so good!